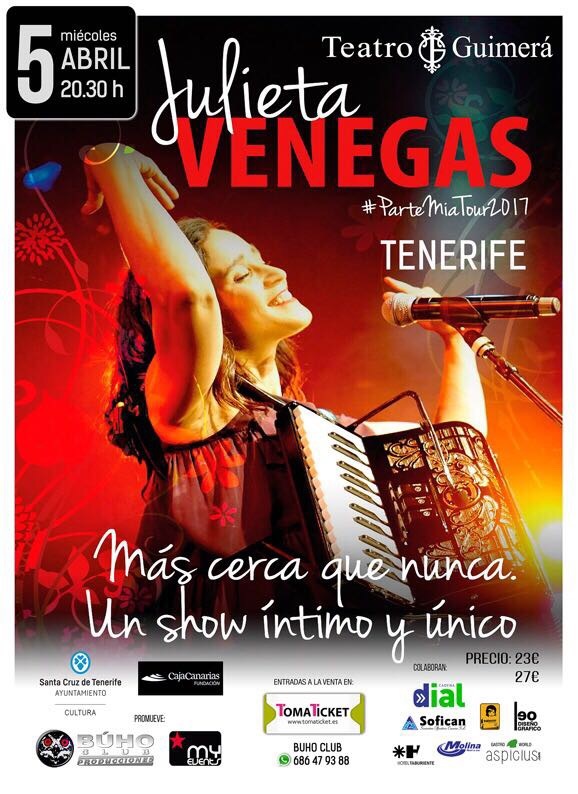 Mexican artist Julieta Venegas arrives in Santa Cruz de Tenerife on Wednesday, April 5 2017 to present her ‘Parte Mia Tour 2017’. The concert will start at 8:30 pm at the Teatro Guimerá and tickets, for 23 and 27 euros, can be purchased at the theater box office and TomaTicket [dot] es. Born in Tijuana, Mexico, Julieta Venegas is currently one of the most famous artists and composers in the Latin American continent. After studying eight years of classical piano until her adolescence, Julieta begins to excel as a member of the alternative rock group Tijuana No! 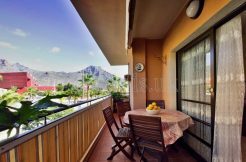 To, just completed twenty, go to live in Mexico City. There, encouraged by her fellow musicians, she recorded her first two albums by the Argentinean producer Gustavo Santolalla, who also produced other well known artists such as Juanes. Already at that time it is required for a multitude of collaborations and composes the main song for the film Amores Perros, directed by the now Oscar-winning Alejandro González Inarritu. However, it was in 2003 with her album Si and later in 2006 with Limón and Sal, where Julieta Venegas managed to run as one of the greatest Latin American artists. Position that no longer abandons: his 8 million albums sold, plus a Grammy Award, 5 Latin Grammys and 8 MTV awards so certify. The way to fuse Mexican popular music such as the ranchera, with pop, and often with its accordion as the main thread, make Julieta a unique artist. Despite these enormous successes and followed by more than 4 million people on twitter and 2 million on Facebook, the artist keeps her feet on the ground: Unicef ​​Goodwill Ambassador, it is frequent to see her also defending the rights of women or the right to universal reading. 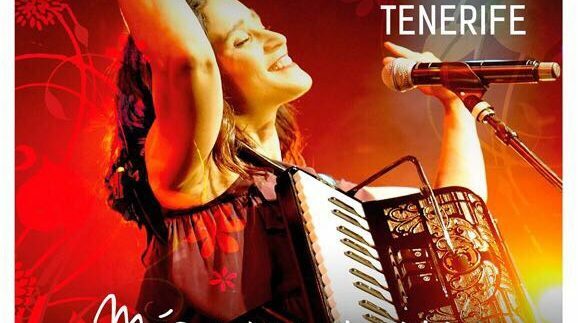 Parte Mia Tour 2017 is a new challenge in the career of Julieta Venegas. For the first time he undertakes a European tour accompanied on stage by Matías Saavedra and Sergio Silva, two of his usual great musicians. Among the three, all of them multi-instrumentalists, accordions, guitars, keyboards and percussions sound for Julieta’s greatest hits (Me voy, Limón y sal, Walk with me €) along with many other songs from his repertoire that now acquire a new Approach, with the artist exposed to his audience in a much closer, natural and magical way. From March 31 to April 8 2017 Julieta Venegas will be performing in several Spanish cities and from the 18th to the 25th of April will be some of the most important European cities in Europe to receive the “Parte Mia Tour 2017”.